*Preheat the oven to200℃/ gas mark 5. Place the broccoli on the oven proof plate. Season with the salt. 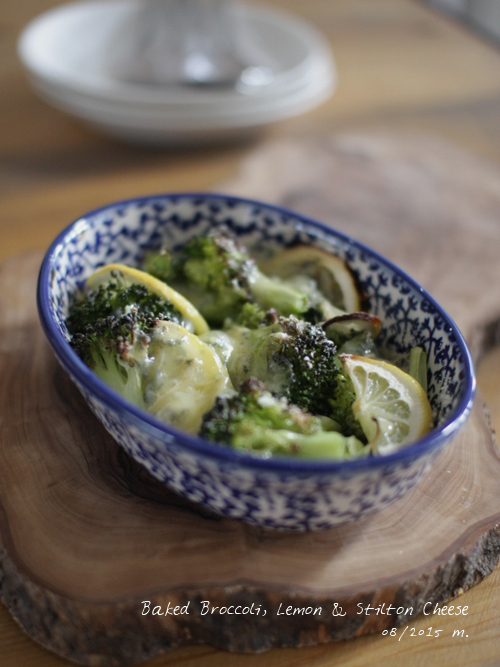 Sprinkle the chilli, garlic, preserved lemon, Parmigiano and bread crumbs on the broccoli. Grill the broccoli in the preheated oven for about 15 mins until golden brown. Serve hot. Follows ingredients are for 2 burgers. You will need double amount for 4 burgers. Heat the soup stock, soy sauce, mirin and salt in a sauce pan over a low heat. Leave from the heat and cool it down. Mix well with the wasabi, ginger juice and gelatine powder. Put in the fridge for about 1~2 hours until set softly. Break it with a spoon roughly. Boil the vegetables and cut the palm hearts. Tear the salmon. 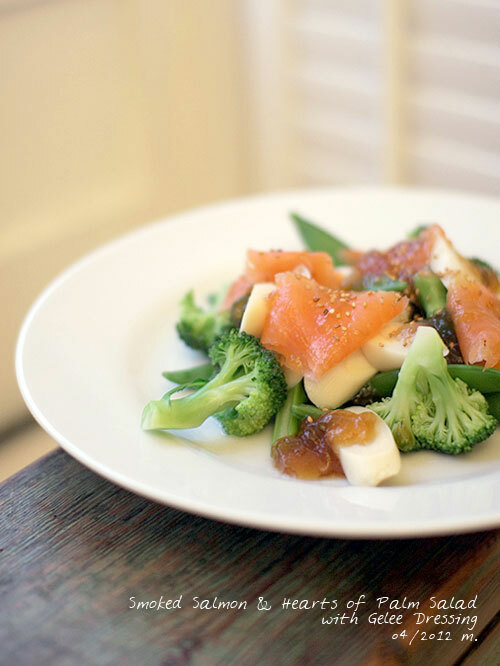 Arrange the vegetables and salmon and drizzle with the dressing. 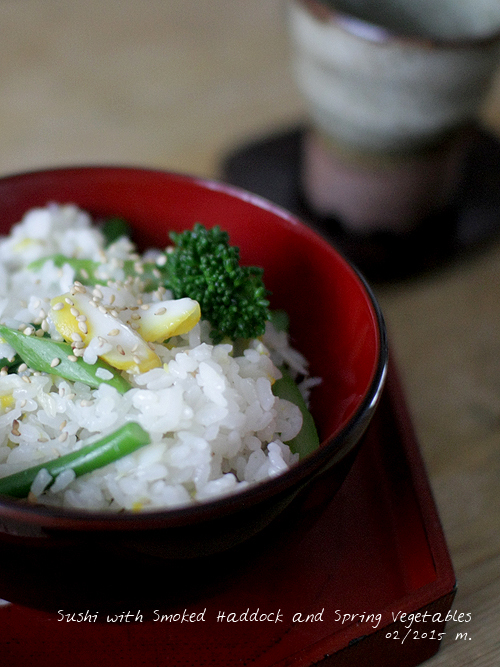 Sprinkle with sesame seeds and bonito flakes if you want. Place a large pan of water over a high heat and bring to the boil. Then add the pasta and salt begin to the boil. About 5 minutes later heat a frying pan over a low heat and fry the garlic until slightly golden. Remove the garlic and turn off the heat. 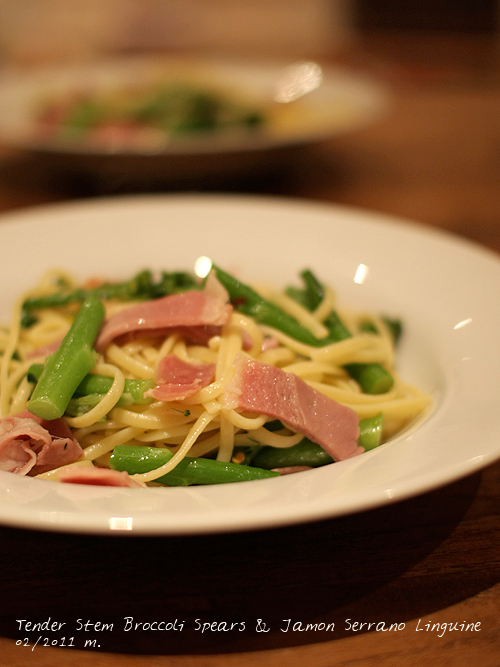 Add the broccoli stems then the florets in the pasta pan to boil them until they are al-dente. Drain the pasta and broccoli. Stir in the pan over a moderate heat and season with the kelp powder and chilli if you like. Turn off the heat and mix the Jamon Serrano. Adjust with the salt if necessary. Serve immediately.